I was thinking for a while about having a print giveaway, when Mariquit over at the awesome Game of Thrones tumblr What Would Khaleesi Wear? proposed doing just that!I used the tumblr as reference while doing the painting, so working with Mariquit on a giveaway just makes perfect sense. 3. submit your own design sketch of Khaleesi-worthy fashion! Remember, you can’t enter for the print here! But if you have a tumblr or were thinking about starting one, I encourage you to at least consider entering. And if you’re a Game of Thrones fan, be sure to check out the WWKW? tumblr; Mariquit does an amazing job curating, and the steady flow of fashion posts on my dashboard are nothing less than inspiring. She also has an Etsy shop where she sells GoT tank tops. Let me tell you, I have the Targaryen and the Stark one, and I can’t wait for summer so I can wear them constantly. 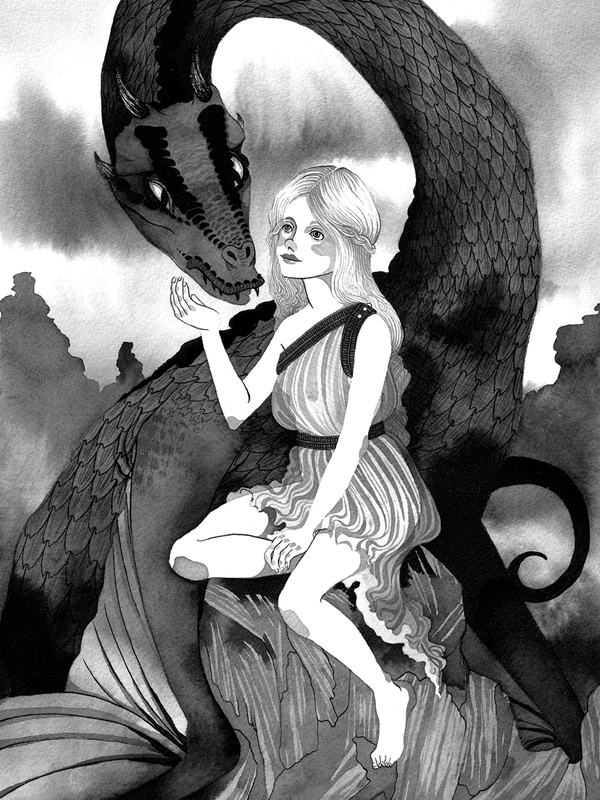 April 25, 2012 Categories: Art · Illustration · inspirationTags: daenerys · dragons · game of thrones · giveaway · prints · what would khaleesi wear? omg that blog is great. I know, right?? Super amazing.